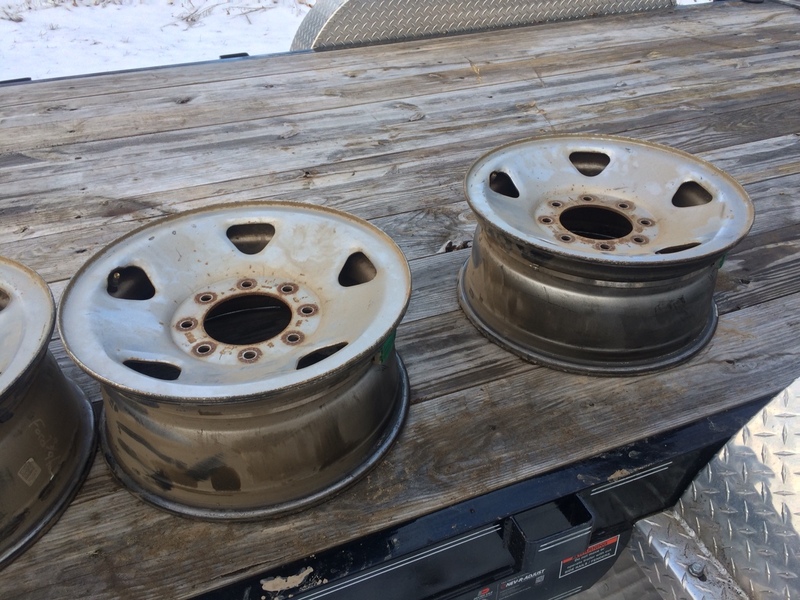 My dad has a friend that owns a salvage yard and found these 17” Ford wheels laying around collecting dust. Hoping to do the DIY beadlocks. Last edited by JeepHeap; March 10th, 2018 at 07:35 PM. Lookin good! Keep up the good work. Those ford wheels will do a good job of narrowing up the full widths. Nice job so far guys! 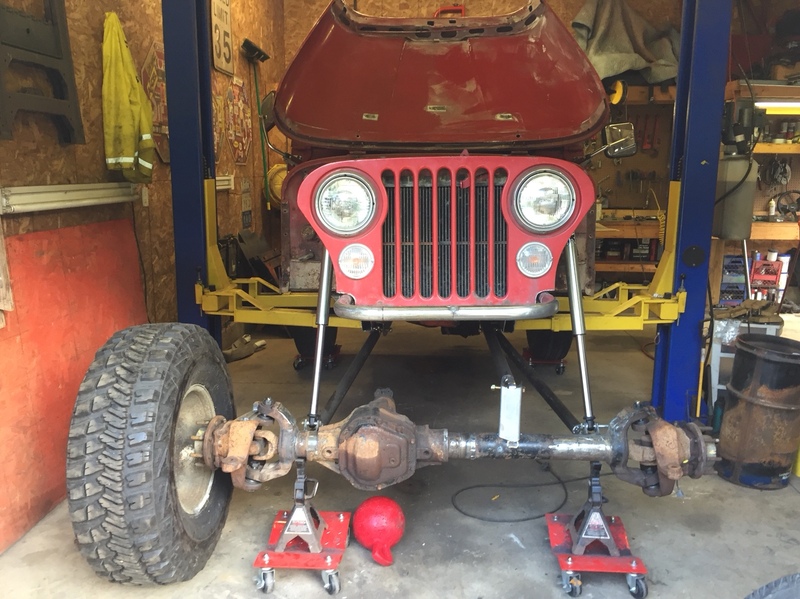 Not much progress since the last update because we have been working on my dads Jeep. 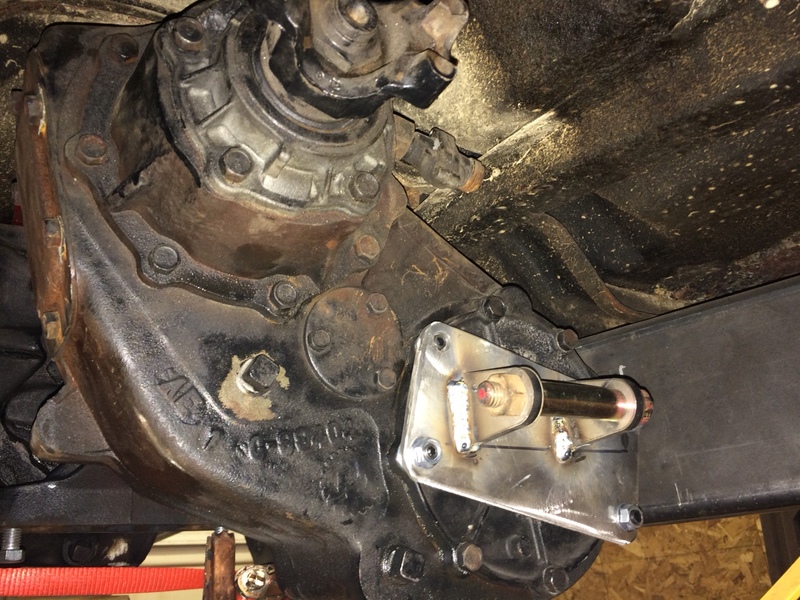 We got the engine bolted in and then got to work making a transfer case cross member. 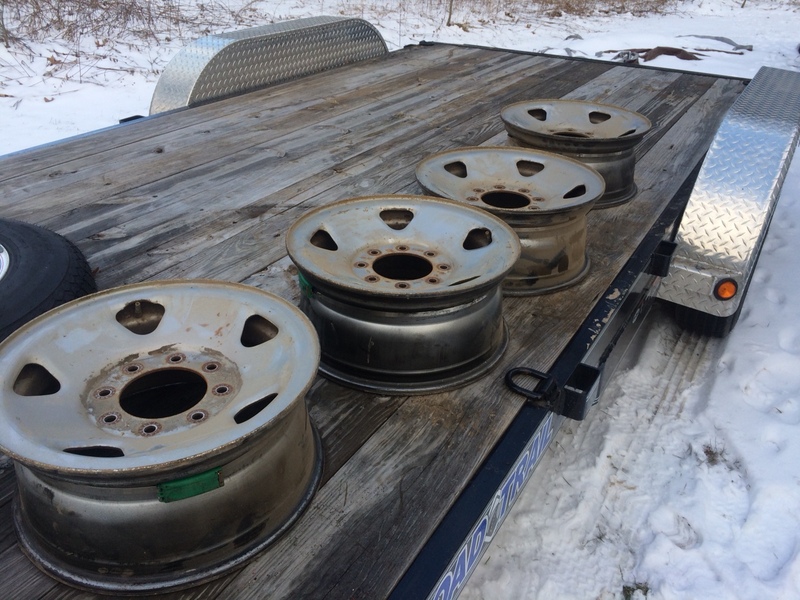 The steel wheels that we picked up earlier won’t work because they weren’t deep enough for the bolts on beadlocks. 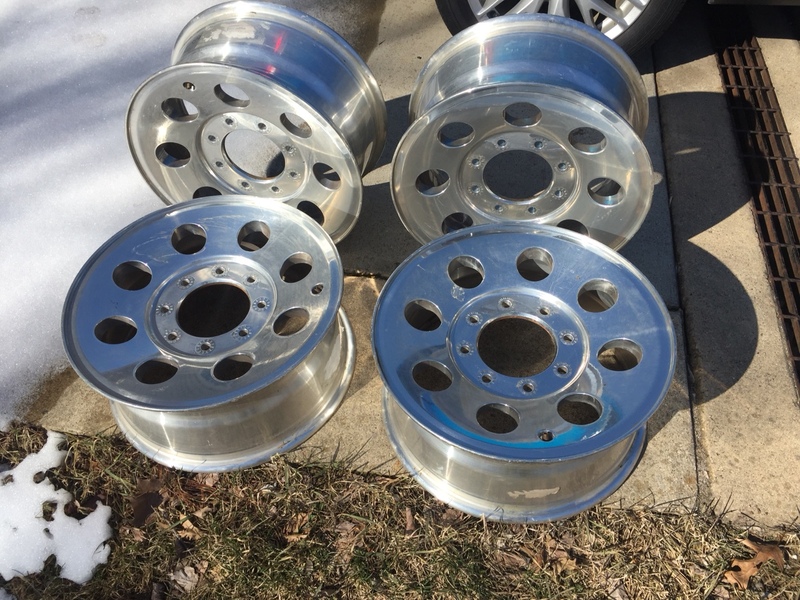 When we started looking around for new wheel options, we found a deal we couldn’t pass up thanks to @jeepinjz. 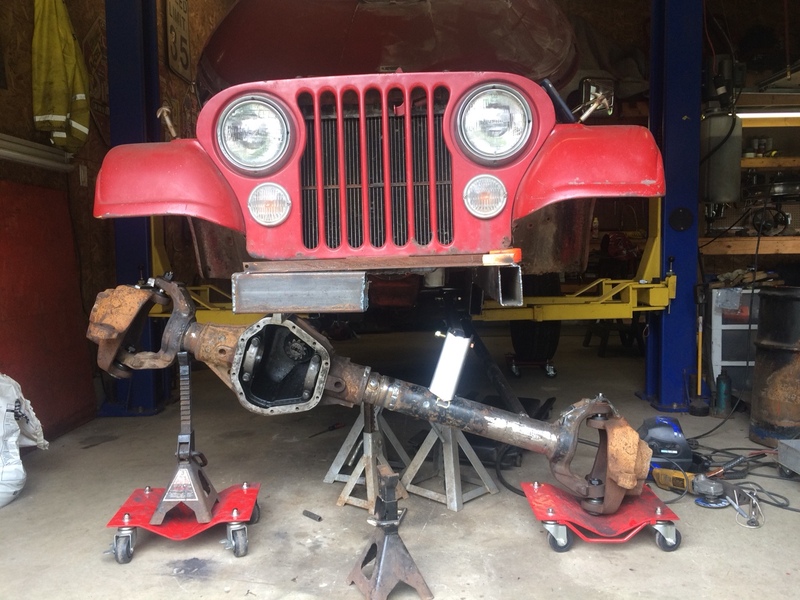 Since the last update, we have made some great progress on the front axle. 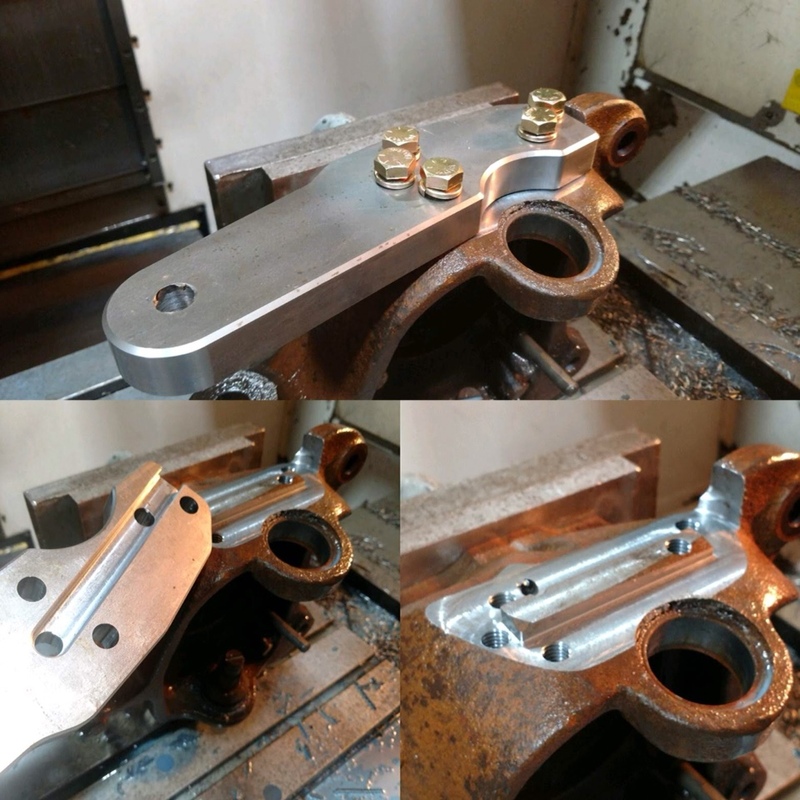 We were offered an unbelievable deal on the milling of my knuckle for high steer, so we took it right away and got it done. The arm is an inch thick. 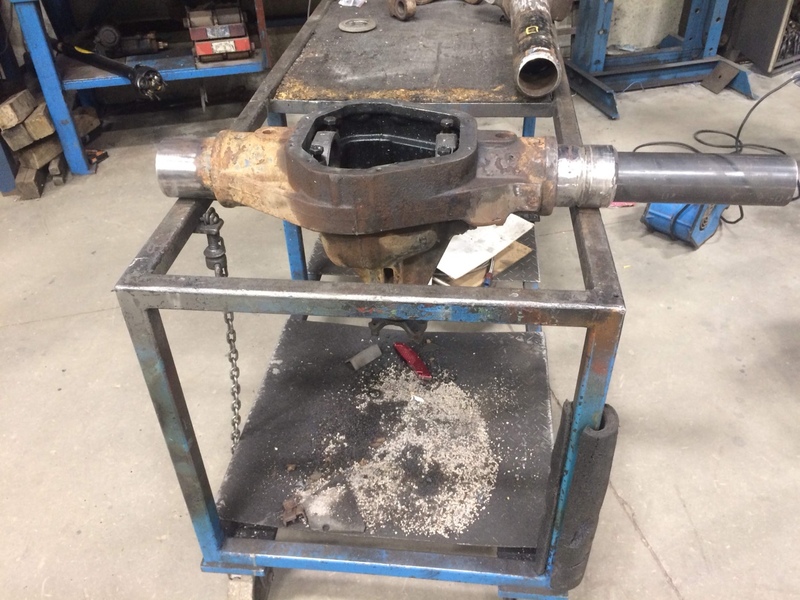 A couple days after the high steer was done, the same guy offered to help us put back together the axle in his shop since he has more experience and a jig made for it. 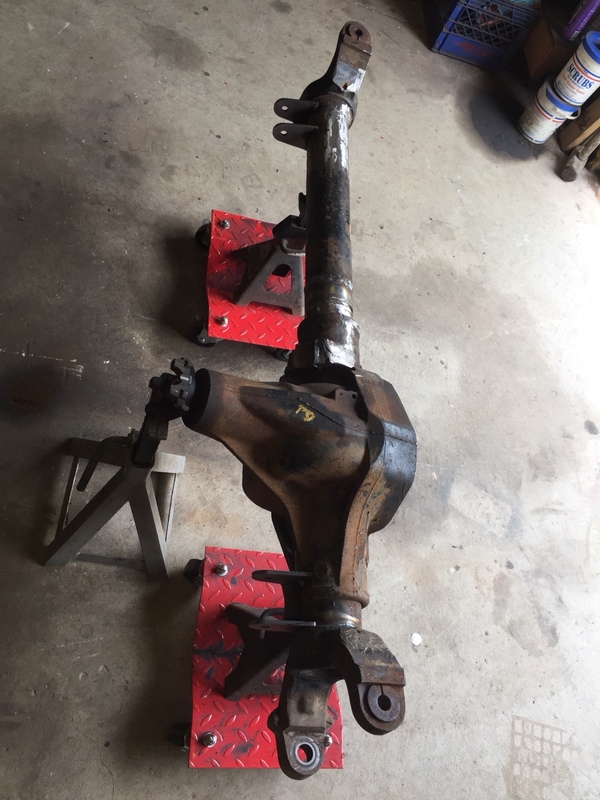 After less than 2 hours of being there, the axle was in one piece and straighter than what it would have been if we tried it. 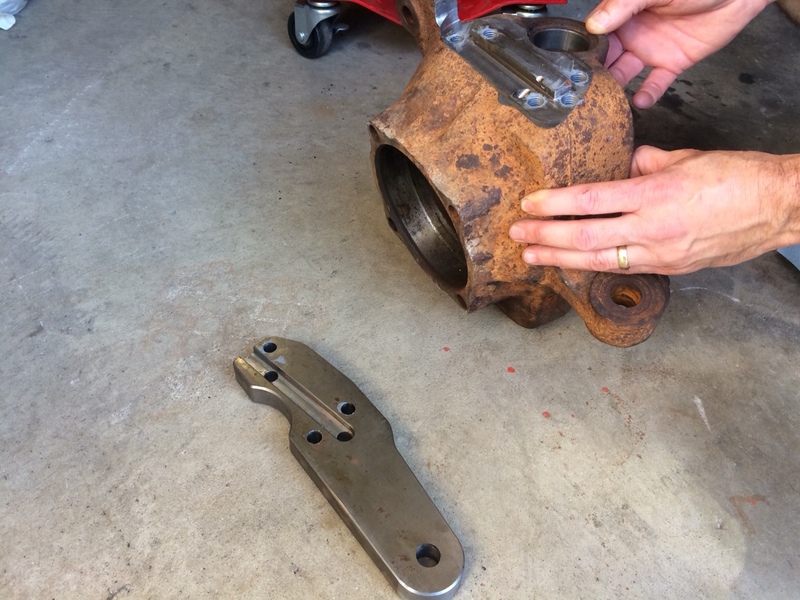 As soon as we got it home, we started mocking it up. 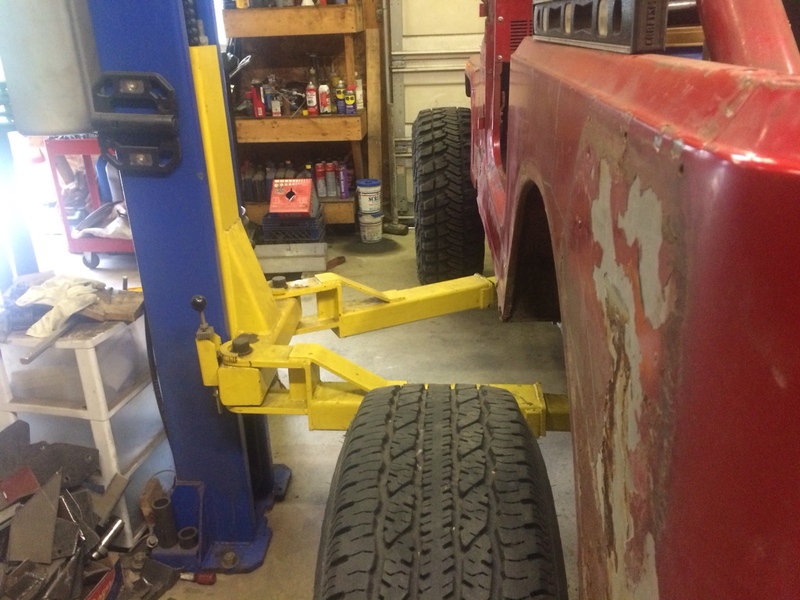 Ending up with about a 109” wheelbase with a 10” stretch in the front and 7” in the rear. 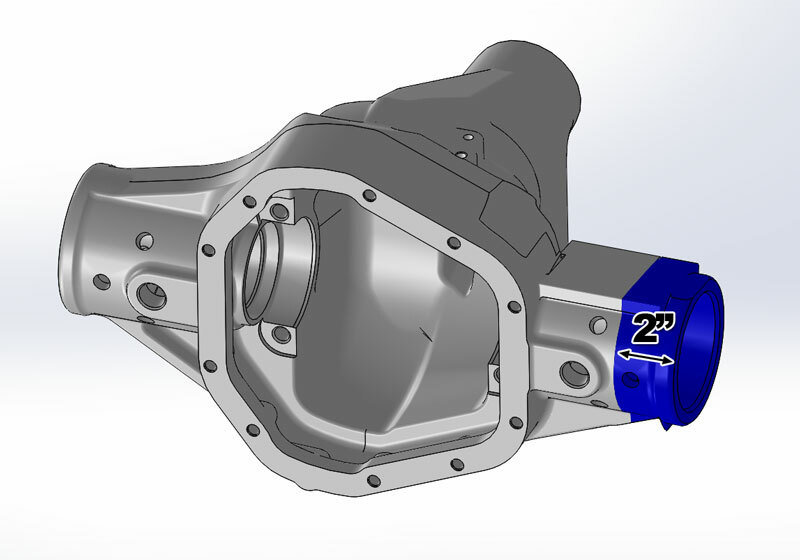 Since it’s so wide, we will be able to get TONS of steering angle. Looks awesome, can't wait to see more updates and see it done. 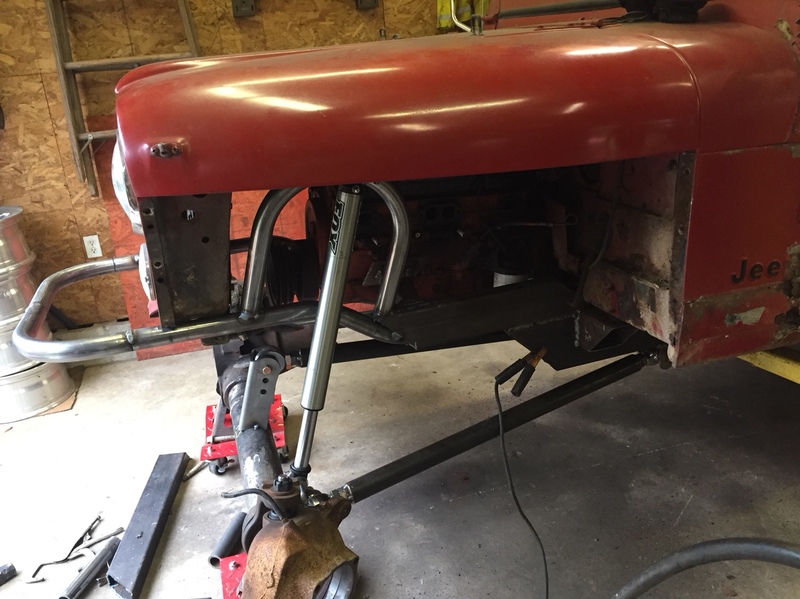 Began on the front suspension. 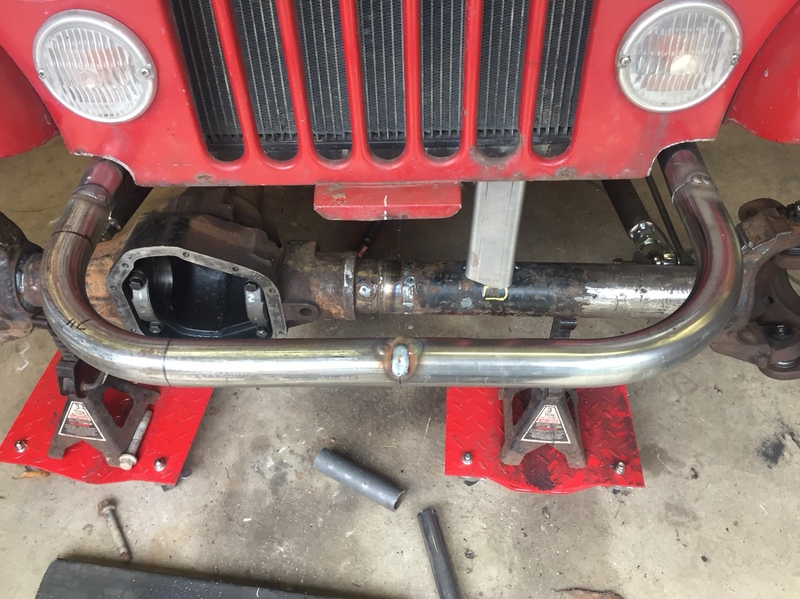 Got the 3-link mostly in. 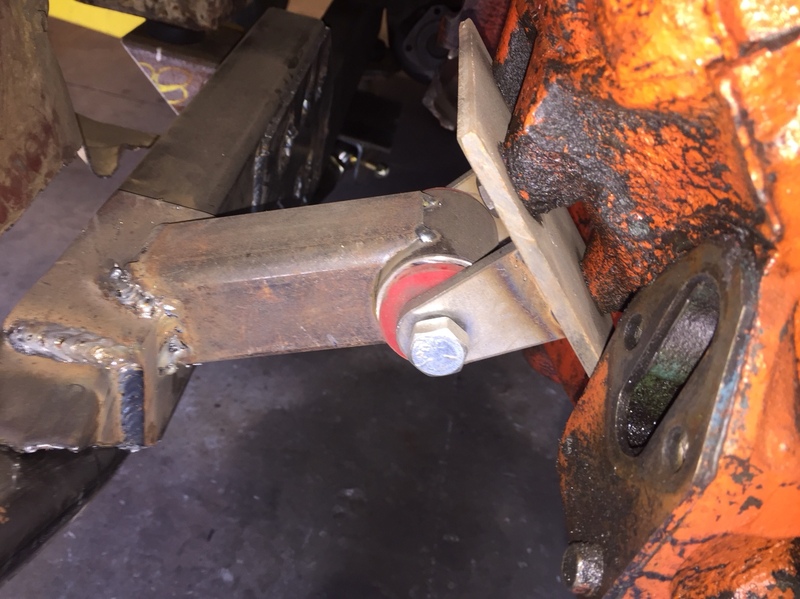 Mounts are tacked in and links are mounted. As we suspected, full bump is 3 inches from ride height due to the diff being so big. 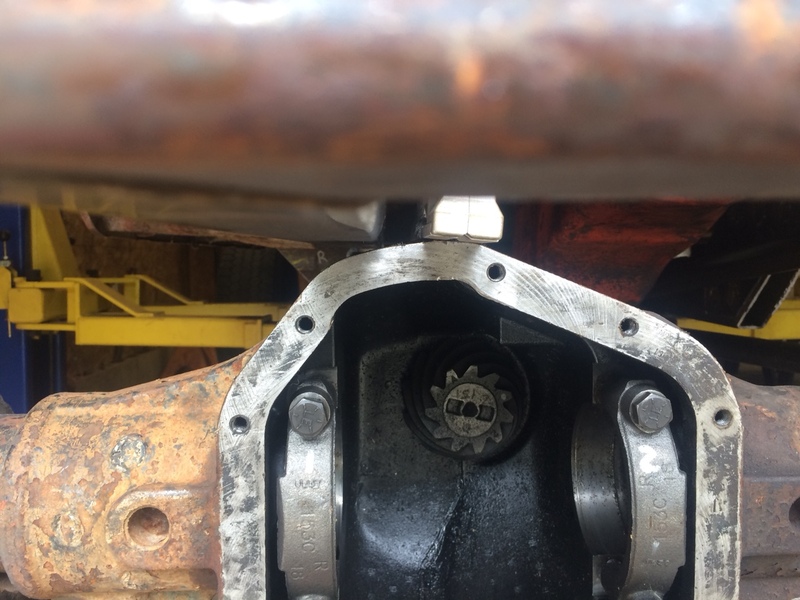 Due to this, we decided to do tubing for the frame from where the diff starts. 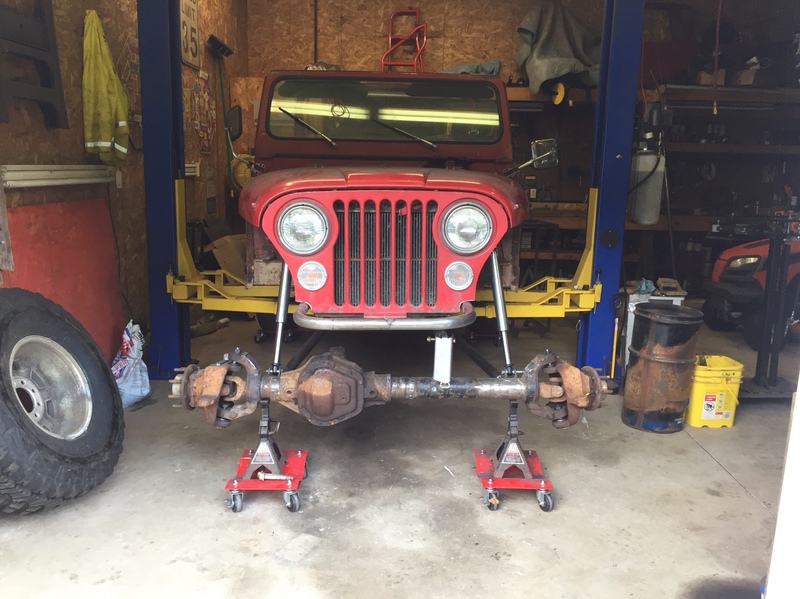 With this we should get 3-4” more up travel and hopefully end up with 7” up and 7” down with the 14” shock. pan hard and LCA mount are going to be tricky. 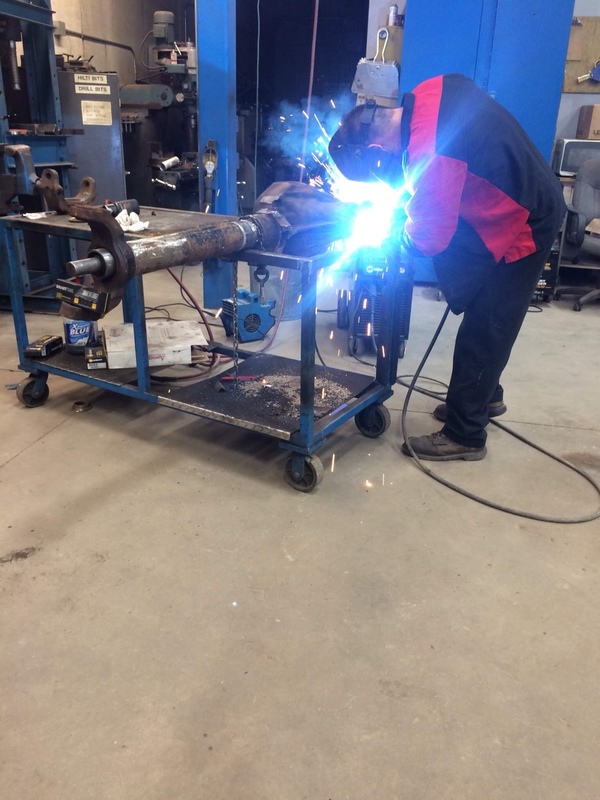 taking a couple inches out of the casting like artec does for their truss (on the other side) would get you some tube to weld on. consider a truss at that point to help support the tubes. 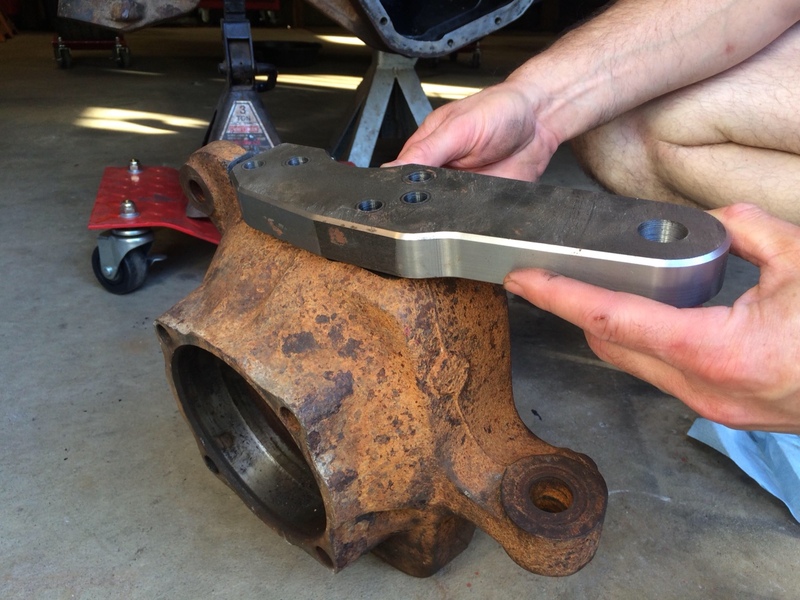 might want to factor that into your full bump. 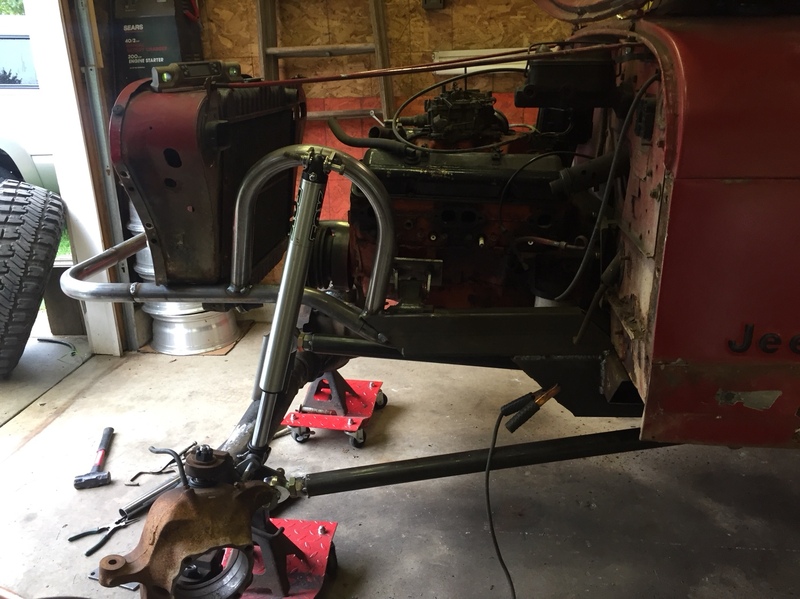 Realized I never showed the engine in without the cherry picker or how we mounted it, so here’s that. Congrats! 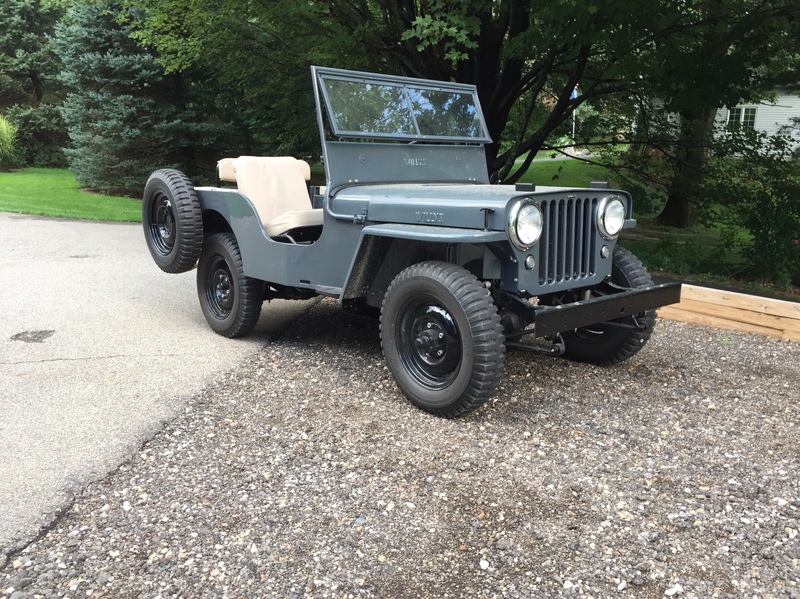 There's a special place in my heart for old CJs (I've owned a TON), and I admire your initiative with working hands-on with this build. I'm looking forward to the updates. EDIT: Wait, you're John's son? Very cool...great Dad, too. 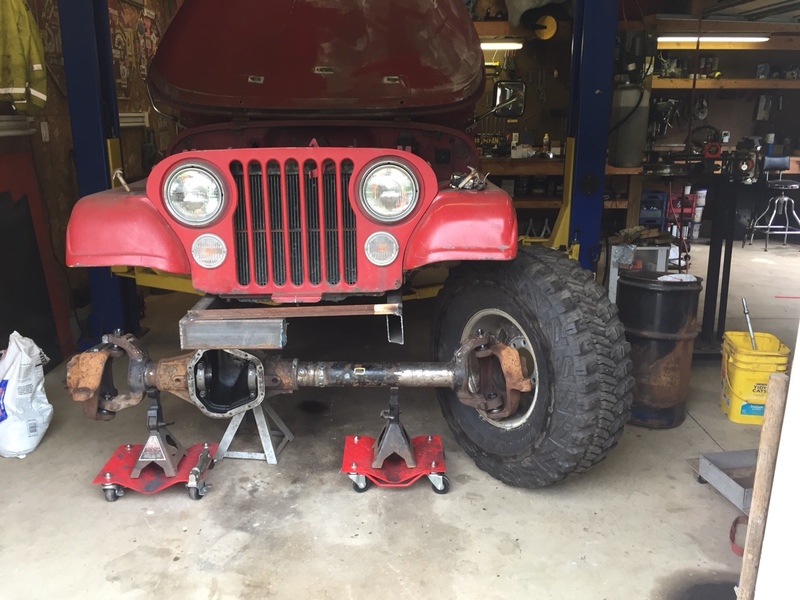 Great progress today on the Heep. 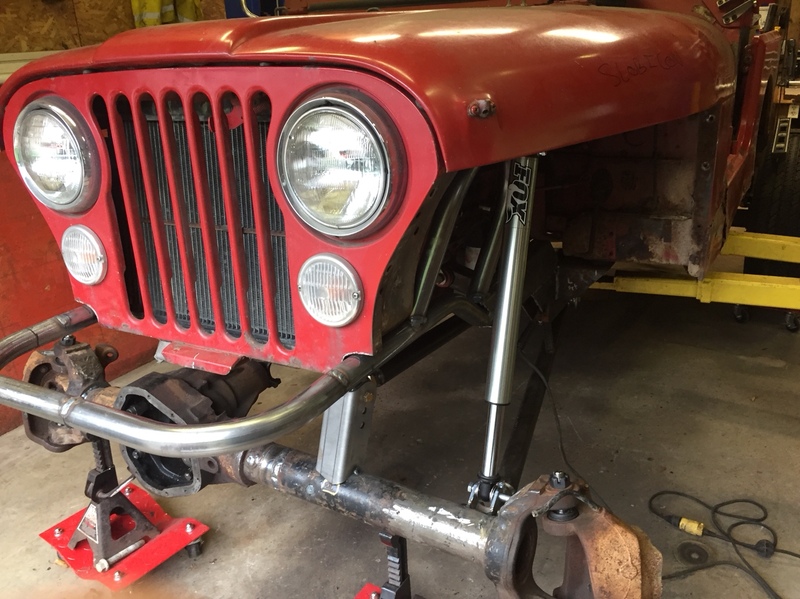 Began on finishing the front tube frame and then connecting them in a bumper. 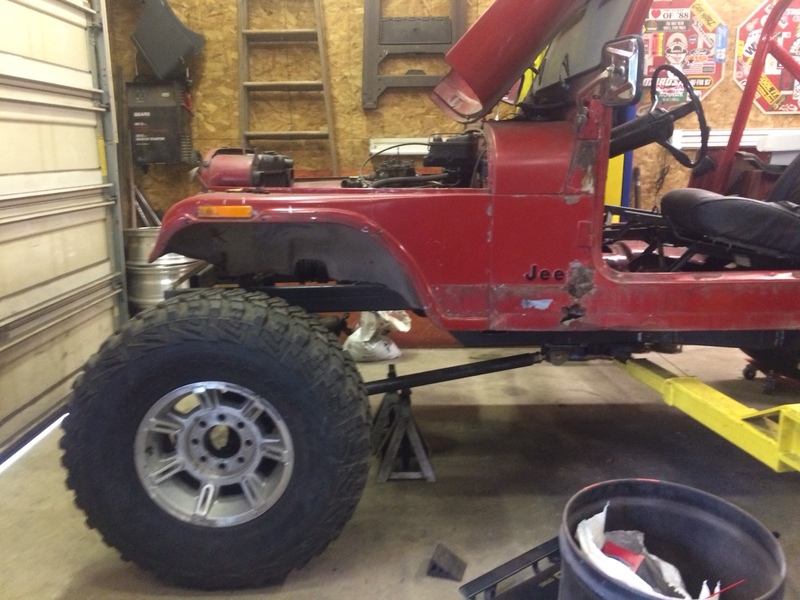 After that, we got to work, started by taking off the fenders, then made shock hoops. They turned out okay but not the best. 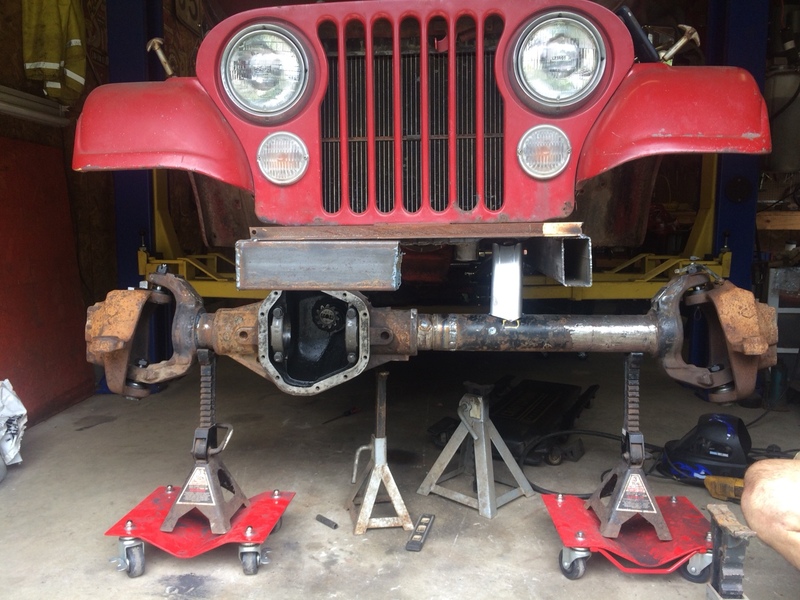 We mounted the air shocks on and put the axle shafts in. We couldn’t get it on all fours yet due no trackbar, so that is next on my endless list of things to do to get this done. 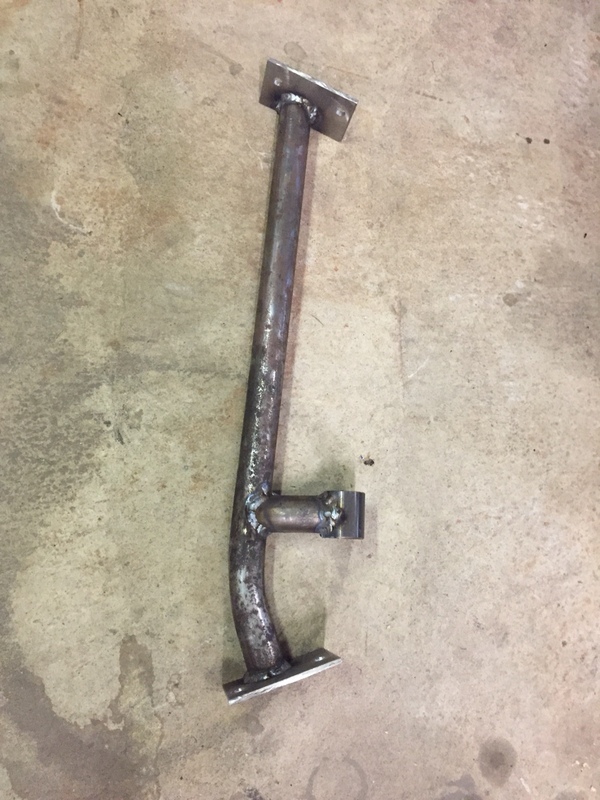 When we found out that we need a trackbar to get it on all 4s, we noticed that ride height in the back is WAY lower than we thought it was since we have never had it with actual weight on the front. We might have to redo the shock hoops and make them taller to get more up travel now. Now I need a cruiser Willy’s. 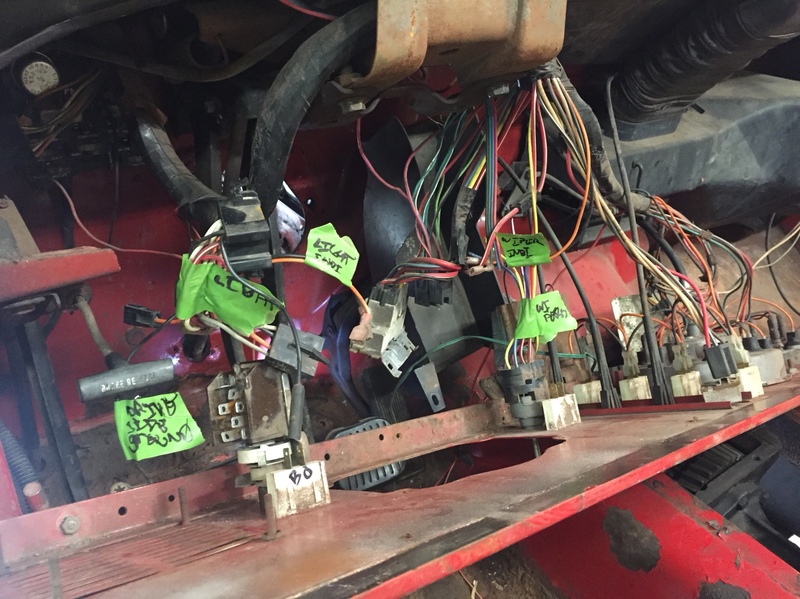 Had some free time today and since we couldn’t get DOM for the trackbar, I decided to go through the wiring harness and label the wires that I could. Just trying to get stuff done while at a stand still until tomorrow. 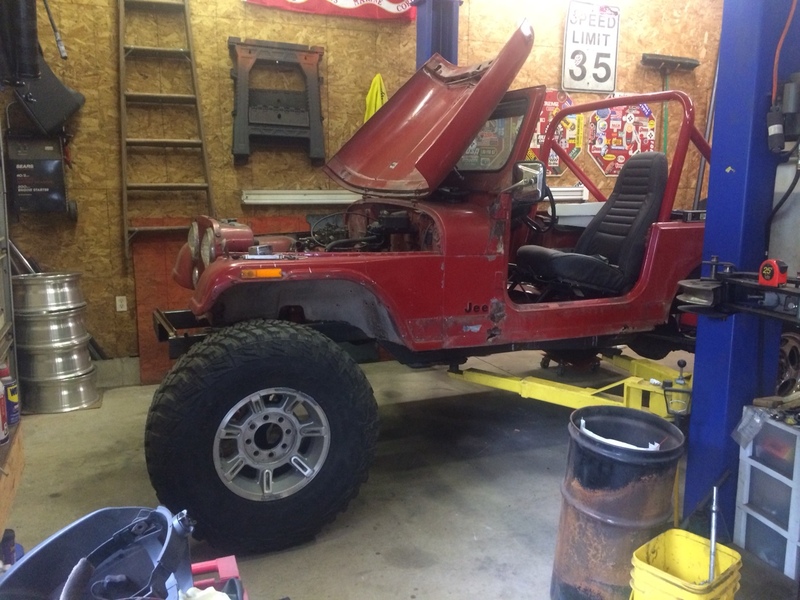 Well, as you can see, the body of the heep is pretty rusted out, and I’m not too fond of going through and patching every panel. Luckily, something followed us home. 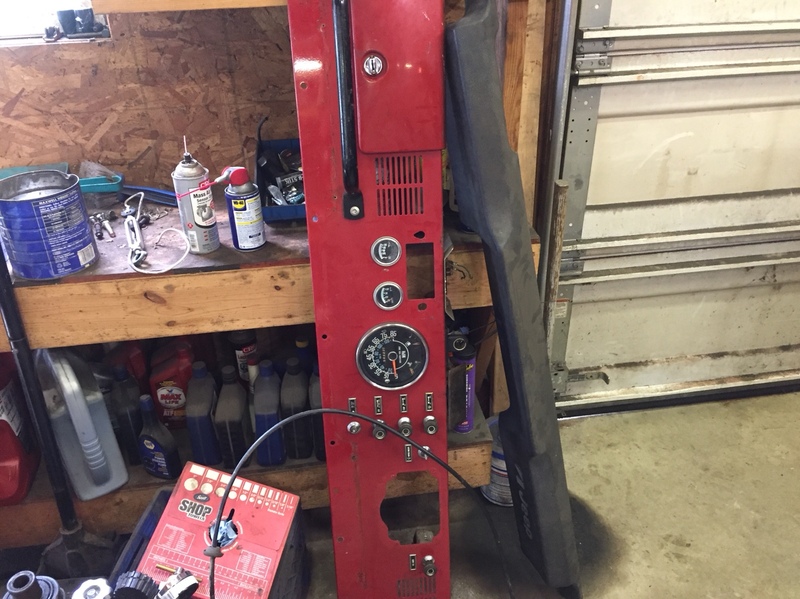 Allegedly, some guy restored it and put a plow on it. 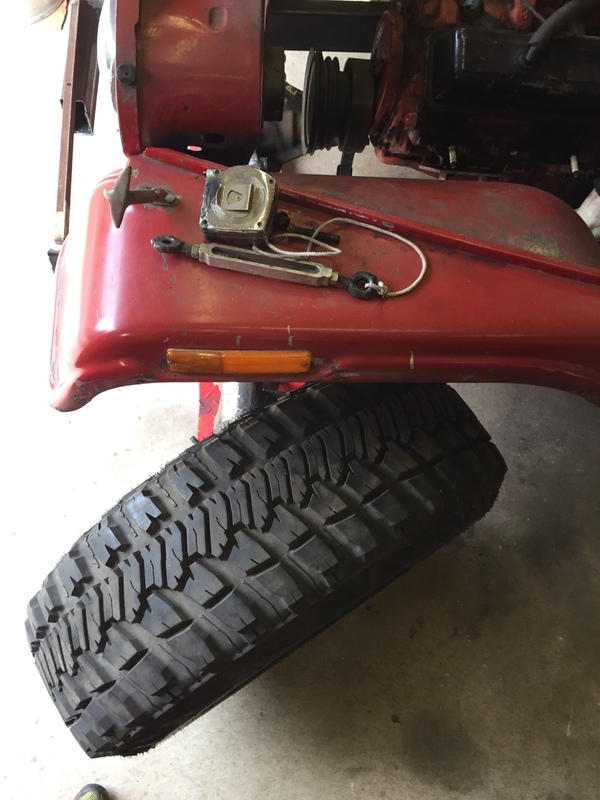 On the first trip out, he got hit or it hit something and bent the frame way over in the front. There are a few dents and a little body filler, but no rust. 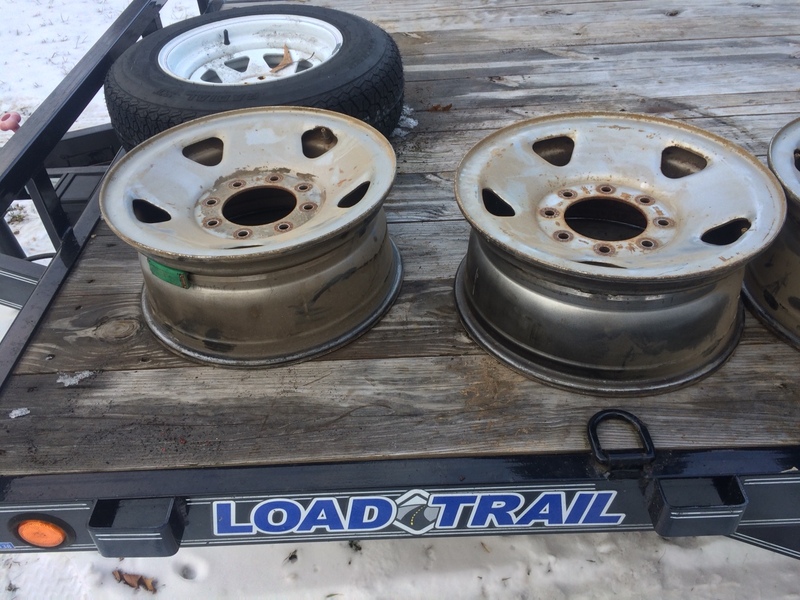 We were going to start dismantling and taking trips out to the trailer Friday and continue working Saturday, but when we got there Friday, it was way better than we anticipated and so we bought the whole thing, and picked it up today. It’s really nice. It’s got like new best top seats, the hard top is immaculate, and has a rear defrost. 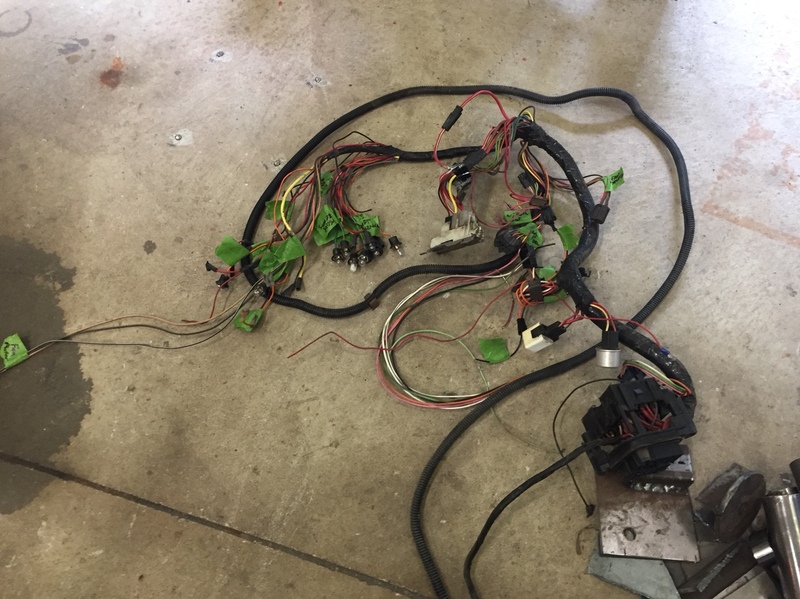 All the wires are together and sort of neat, unlike the Heep. 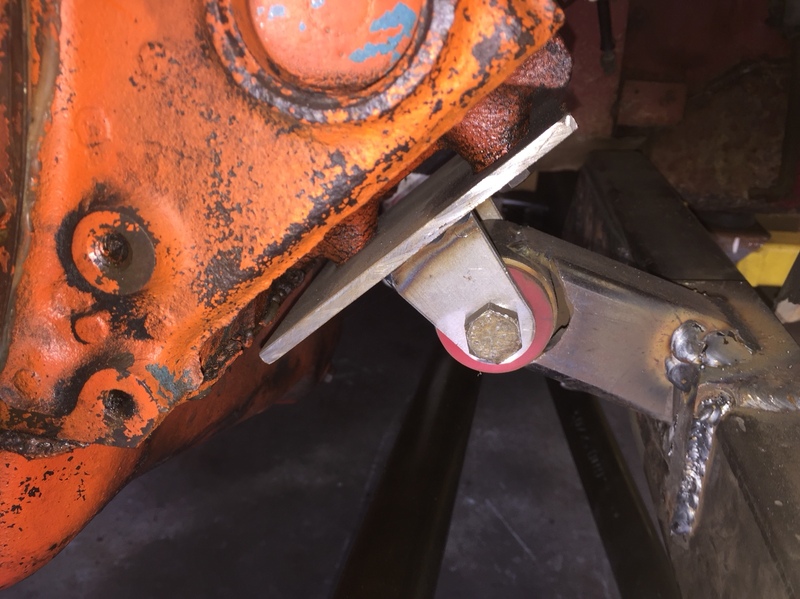 Because of the fact that it isn’t rusted out, we are going to have to make new body mounts on the custom frame, but other than that, we are not really set back at all. Since it is so nice, we are going to do everything right, and not just do “enough”. 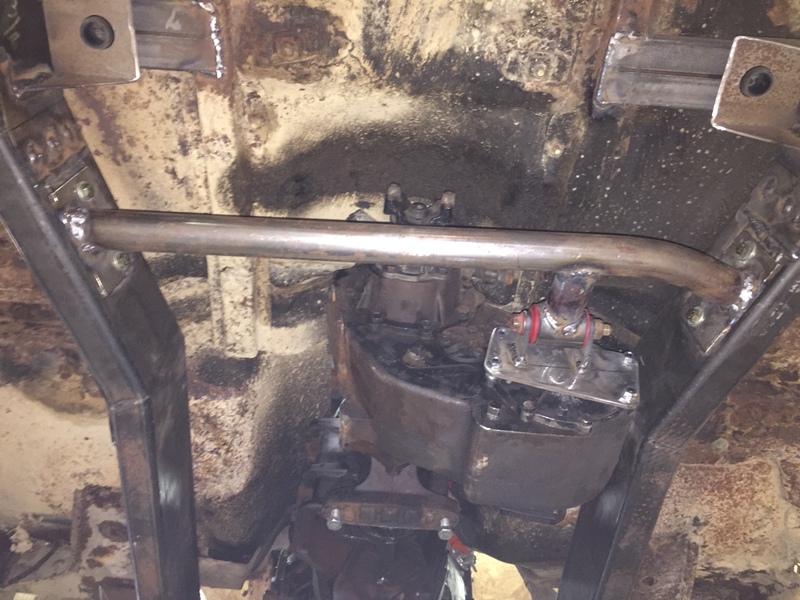 Plan is to Rhinoline the interior and the bottom to prevent rust and make cleaning easier, and then paint it. 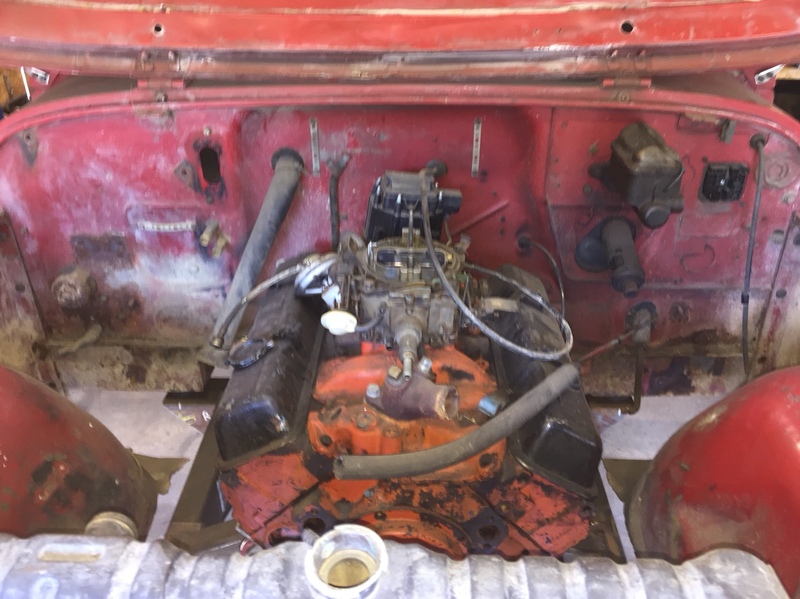 It’s going to take more work, but in the long run it will be much better and I will be a lot happier. 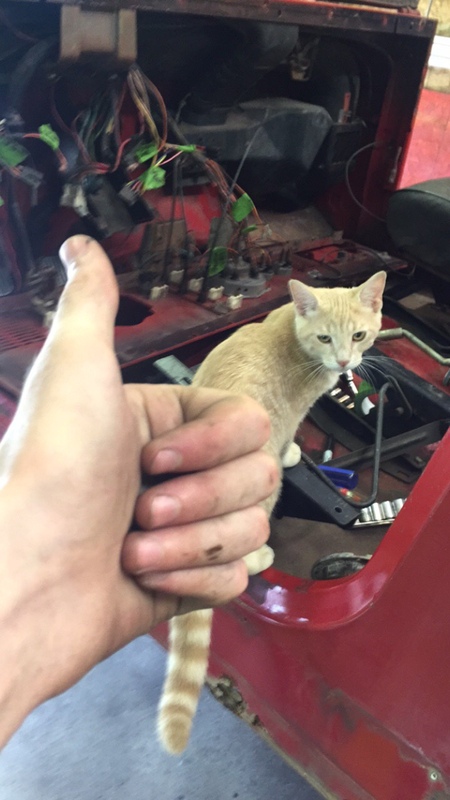 Last edited by JeepHeap; September 4th, 2018 at 03:14 PM. Nice score on the tub! Thanks Craig, we’ve been having lot of fun with the project. 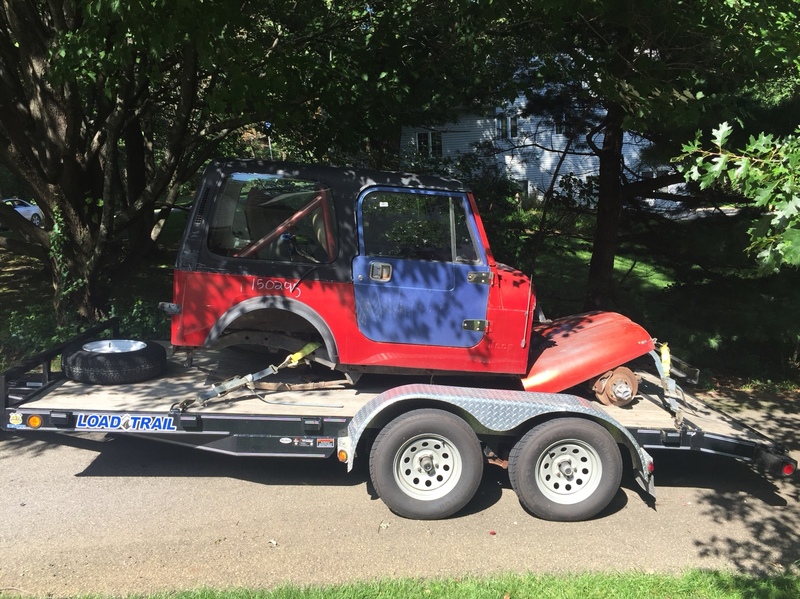 Nice-bordering-on-weird find on that CJ tub, too. It looks pretty darned solid! 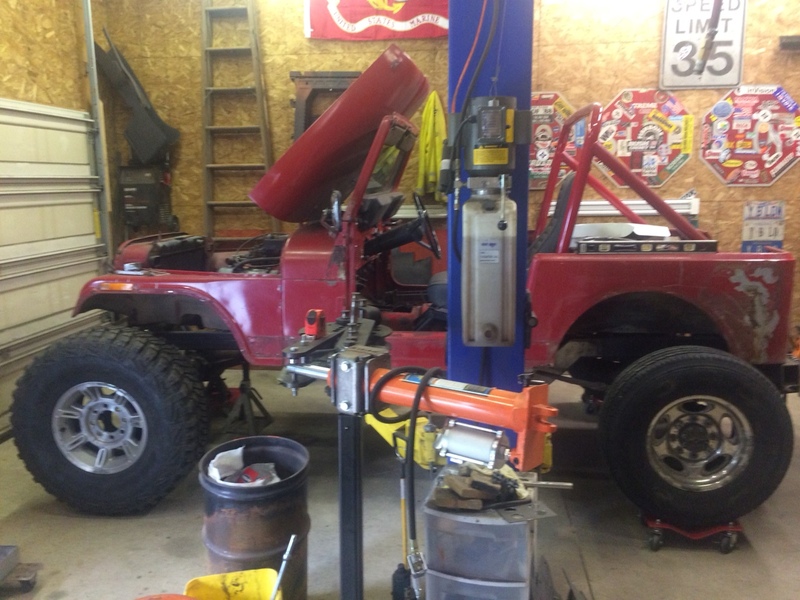 Rumor is someone did a resto, added a plow and got smashed in the front/side almost immediately!